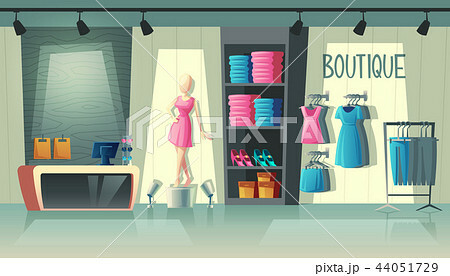 Vector clothing shop interior - wardrobe with woman clothes, cartoon mannequin and stuff on hangers. Cashbox with table inside boutique, dress collection. Fashion store with illumination in mall.